Check Out The Trailer For ‘The Purge: Election Year’!!! This year, we get another movie in The Purge series with ‘The Purge: Election Year‘ and it’s being released on a rather patriotic weekend bowing on July 1, 2016. The third in the series will guarantee mayhem, murder and has always had a hint of political flavor to it, you know with the legalizing crime and all. 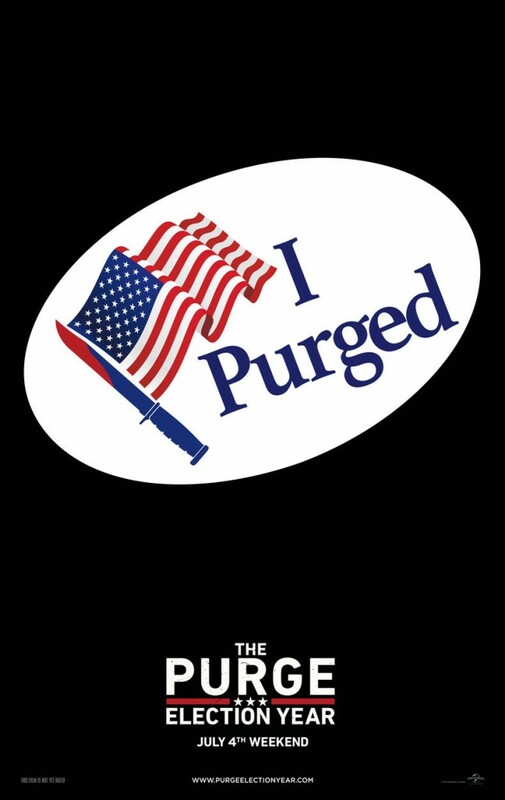 The title tells it, this time it goes deeper into politics with featuring a presidential nominee, Charlene Roan (Elizabeth Mitchell), she has built her entire platform on eliminating the Purge. Needless to say, she’s targeted for elimination, what better way to take out someone you see as a threat but to have her assassinated during the Purge? It’s a lovely little legal loophole, no? James DeMonaco is back to write and direct and he’s brought back Frank Grillo’s Sergeant from ‘The Purge: Anarchy‘ as Roan’s bodyguard. This film occurs over the 12 hours of annual suspension from law and is sanctioned by the New Founders of America to keep this country great. It’s been two years since Leo Barnes (Frank Grillo) stopped himself from a regrettable act of revenge on Purge Night. Now serving as head of security for Senator Charlie Roan, his mission is to protect her in a run for president and survive the annual ritual that targets the poor and innocent. But when a betrayal forces them onto the streets of D.C. on the one night when no help is available, they must stay alive until dawn…or both be sacrificed for their sins against the state. The film stars Grillo and Mitchell, Mykelti Williamson, Betty Gabriel, Edwin Hodge, Kyle Secor, Joseph Julian Soria and Lisa Colon-Zayas. This entry was posted on Wednesday, February 10th, 2016 at 2:29 pm	and is filed under Film, News. You can follow any responses to this entry through the RSS 2.0 feed. You can skip to the end and leave a response. Pinging is currently not allowed. « ‘Thunderbirds’ Reboot Happening at Amazon!